The easiest and the earliest methods of fortune telling to be used till date is Numerology. Of all the metaphysical/ the esoteric subjects namely - astrology, palmistry, tarot, crystal gazing and the like, the subject of Numerology is accessed by most of the people. The study of Numerology is as old as the ancient history, and various systems of this study have evolved in different countries from times immemorial. Numerology is the study of occult with numbers. "What is in a name?" - asked William Shakespeare. The answer is - there is lot in a name itself. The Business Name - reveals a lot. Business name or Company name is the tag by which it is recognized. 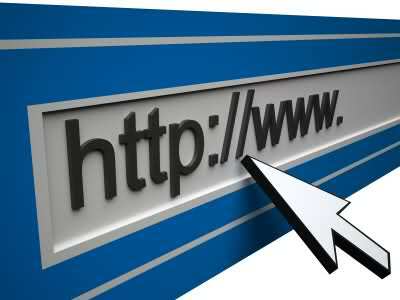 It is the name which conveys the message to the consumers the type of business a particular organization is doing. It reveals the nature of the product dealt with and more importantly, if the right business name along with its right image is forecast, then success is inevitable! According to the concept of Numerology predictions each number rules the human nature and displays the effect. Numerology deals with numbers from 1 to 9. All the numbers have a certain geometry. 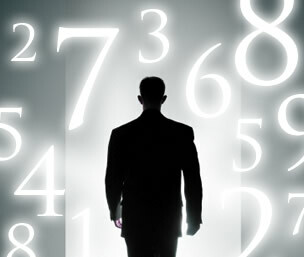 Numbers relate to a pattern of energies and vibrations. The bad, good and the information about previous birth and the effects of the previous birth in the present birth besides every personality trait of a human being can be highlighted. In some cases there are certain names and date of births the sum total of which are two digit numbers. In such cases, these numerology numbers are reduced to display a single digit number by adding the digits together. The sum of the numbers thus obtained from the birth date and the name provides an interrelation of vibrations. The prosperity of your business also depends on the address numerology analysis. No alphabet has been assigned to # 9. Number 1 - ambitious, talented, the leader and extrovert are the keywords. Number 2 - sensitive, emotional, domestic and flexible describes the letters associated with this number the best. Number 3 - loyal, trustworthy, the investigator and the seeker are the appropriate keywords. Number 4 - A psychic business, metaphysics or the occult will prove to be successful venture. Number 5 - researching and reading on different topics and subjects are the keywords describing the letters under this very number. Number 6 - Gentle, sociable and pleasant personality are the characteristics of this number. Number 7 - profession related to psychiatrists or any type of occult business is bound to flourish. Number 8 - pessimistic in nature and success will be there which involves money. Try the free numerology calculators and get instant reports and numerological readings.